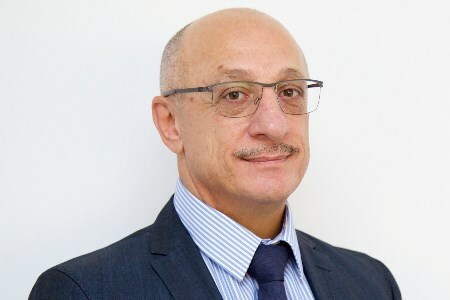 EnerMech has appointed Salvatore Cutino as Regional Director for Africa as it looks to double revenues in the region to more than £50 million over the next three years. Mr Cutino has joined the Aberdeen-headquartered global integrated engineering services specialist from Harris Pye Engineering group where he was International Business Development Manager based in Houston, USA. He will be based in Cape Town and has more than 40 years’ experience in marine and offshore services, mechanical engineering and project management and a proven track record working on large international contracts across a number of sectors. Mr Cutino succeeds Steve Ord who will relocate to UAE to become EnerMech’s General Manager for its operations in UAE and Saudi Arabia. Steve Ord has extensive operational experience in the Middle East and was based in-region before taking up EnerMech’s most senior role in Africa in 2015. EnerMech employs more than 150 staff in Africa and has a presence in Cape Town, Johannesburg and Northern Cape in South Africa, Angola, Nigeria and Ghana. With further investment planned to expand EnerMech’s capabilities within the mining, power and petrochemical markets and to create a joint venture in Mozambique, the company expects its African regional revenues to double over the next three years to more than £50 million. After market entry in 2012 and the successful delivery of pipeline services on deepwater projects offshore West Africa, EnerMech expanded with the acquisition of Water Weights International in South Africa, which was followed with the acquisition of the trade and assets of valve supply and service company Control Valve Technologies. The company extended its geographic footprint by establishing joint ventures with local partners in Ghana, Nigeria and Angola which has presented numerous offshore and onshore opportunities. EnerMech Chief Executive Officer, Doug Duguid, said: “Africa is a strategically significant region to EnerMech’s future expansion plans and forms an important strand in taking our business to the next level. “I am delighted we have appointed Salvatore Cutino who has the business acumen and industry track-record to fulfil our ambitions in Africa and he and his team will benefit from the excellent template established by Steve Ord during his three-year tenure.